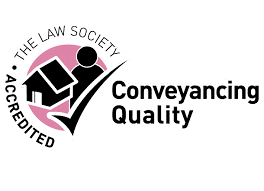 Avery Emerson is pleased to announce that we have been awarded the Law Societies Quality Scheme (CQS) Mark for Conveyancing. This accreditation is a recognised quality standard for Residential Conveyancing firms. Our firm has been assessed by the Law Society and it has been confirmed to us that we meet the criteria in order to become a member of the prestigious CQS. The accreditation provides further reassurance for all our clients, and our potential new clients that our residential conveyancing department operates to the highest of standards, and that our firm has the necessary skills and expertise to carry out the transaction and to advise you on the process. Divorce, can you file for it? Services of this firm are provided by solicitors of England and Wales, regulated by the Solicitors Regulation Authority whose rules are available here.